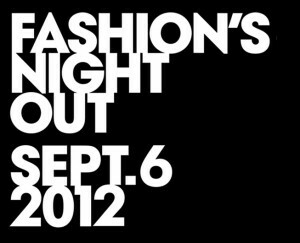 What’s going on in Houston for Fashion’s Night Out 2012? Here’s the rundown! Fashion’s Night Out is a global initiative, first created by Vogue Editor-In-Chief Anna Wintour and The Council of Fashion Designers of America in 2009 to encourage consumers to support the fashion industry and shop in the down economy. Retailers, fashion designers and entertainers collaborated to create fashion shows, in-store events, discounts and give-aways to celebrate. The event has flourished. Last year Fashion’s Night Out expanding to 18 countries globally and more than 4,500 events in the US…including Houston. 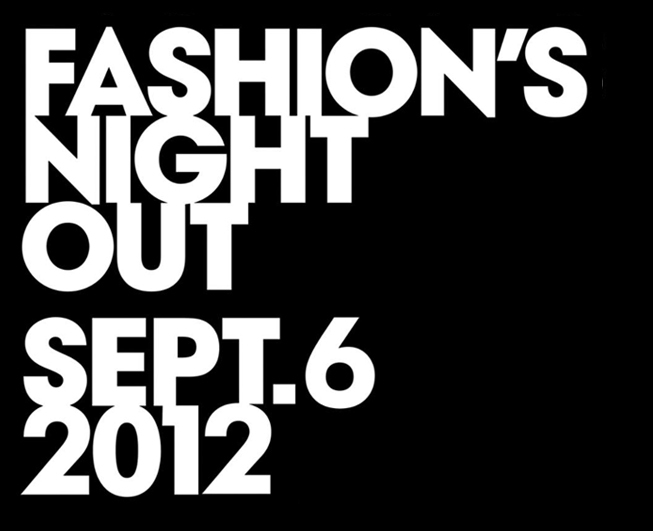 Fashion’s Night Out 2012 is September 6, 2012. I haven’t seen a comprehensive list of all the events in Houston…so I’ve created one. I’ll keep updating this list as more events are scheduled and announced. If you’ve got an event or hear of one that’s not listed below, please add it in the comments or email me with info so it can be added. DAO Chloe DAO – 6127 Kirby Dr. Gift with $100 purchase. Valued up to $25. Elaine Turner – 2439 University Blvd. Gift with Purchase – Free gift with purchase of a full price item. A raffle for an Ali bag will be held (tickets are $5 each or 5 for $20). Proceeds benefit Amschwand /Stehlin Foundation. Langford Market – 2517 University Blvd. Raffle for $200 gift card. Premium Goods – 2416 Times Blvd. Take 15% off the entire shop. Myth & Symbol – 2537 Times Blvd. Free BAGGU gift with $100 purchase. For more info, visit the event page on Facebook. Most stores inside the Galleria mall will be offering something for FNO – champagne, lite bites, complimentary makeovers, discounts and more. For more Galleria FNO events, check out Joy Sewing’s event list. Invitation-only runway fashion show presented by Cadillac. Men and women fashions ranging from casual weekend wear and stylish outfits for the office, to show-stopping looks for a night on the town. Public viewing of the runway show will be available from the common areas. Note: Simon Fashion Now events run all weekend, from 9/6 to 9/8. Visit www.simon.com or The Galleria Facebook page at facebook.com/HoustonGalleria for the latest event updates. Runway Shows at ICE at 5:30 p.m., 6:30 p.m. and 7:30 p.m (free and open to the public). Seating is available on a first come, first serve basis. 6 pm – Design Wars – an interactive fashion design competition featuring student teams from Art Institute of Houston. The public is invited to watch the competition and cheer the students on as they debut and discuss the fabulous inspired looks they create. Winning team receives $500 in Simon American Express Giftcards. 7 pm – Ready, Set, Style!, an interactive styling competition. Participantscompete for a chance to win a Simon American Express Giftcard. Style Stops hosted by Galleria retailers Bare Escentuals, Trade Secret and Sephora, offer interactive demonstrations of beauty and style trends. Join Houston Chronicle’s Style Editor Joy Sewing for The ShopGirl’s Style Lounge: fashion, shopping, cocktails, music and fun. (Joy’s blog is Dress Like You’re In Love) More info and updates on Facebook. Complimentary lashes by Edward Sanchez Vanity Lounge. Fashions by local fashion stars, including Chloe Dao, Sameera Faridi, Gayla Bentley and others. Note: See the Sunday, Sept. 2, edition of the Chronicle for Joy’s ShopGirl guide to Fashion’s Night Out events across the city. Fall Fashion with local design students featured in the Little Black Dress Designer fashion competition! Strike a Vogue-pose in the interactive Photo Booth! Go red at the Beauty Nail Bar and take away a special gift*! Enjoy informal modeling looks while our DJ spins the top tracks! Niemann Marcus teams up with the Houston Fine Art Fair for an evening of fashion, beauty and art. 7 pm – Fall trend presentation with special appearance by designer Catherine Deane,. Pre-registration for the free, public event is encouraged by contacting Guest Services at chamberguestservices@gmail.com or (281) 419-4774. For more into visit MarketStreet-The Woodlands.com. The Woodlands Mall will host a full runway show in Center Court featuring the latest fall fashions and holiday collections of retailers throughout The Woodlands Mall. First 150 guests to take their seats at the show will receive SWAG bags filled with souvenirs, coupons and gifts, including a copy of the latest edition of reviewit Magazine, a glossy print/online magazine chronicling beauty, business, dining, entertainment, fashion, interior design, jewelry, philanthropy and society buzz in The Woodlands, Conroe and Spring. The first 150 shoppers who spend $100 at the event and present receipts to Guest Services on the upper level will receive gifts including a China Glaze manicure set with the company’s newest shade of nail lacquer. Other events will be hosted by retail locations within the mall. For directions and a list of retailers and restaurants, visit thewoodlandsmall.com or call (281) 363-3409. Thanks Sarah for putting this together! Now to narrow it down and decide which ones to attend. LOL! Yes, that is the challenge at this point, isn’t it??!! My pleasure, I hope it’s helpful! Let me know if there’s anything you’d like to see and I’ll do my best to add it in! We are hosting a fun party for FNO. Sept 6th from 6-8pm. Can you mention us as well? So sorry Krystal, you comment got lost in my spam folder! Thanks for the update…hope you had a great Fashion Night out! Please feel free to email me re your events and I’m happy to mention them. Happy New Year! Great post- I shared with my readers! Have a fun night wherever you celebrate. Thank you so much The Surburban Diary!! I look forward to checking out your site!! Hope you had a fun night!